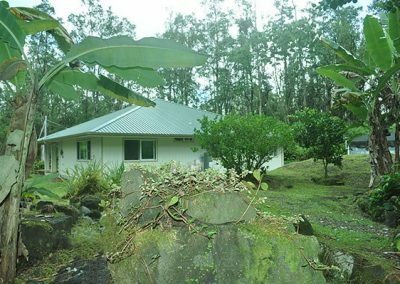 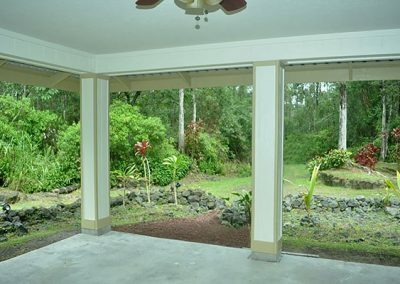 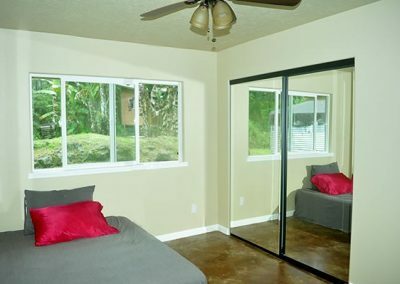 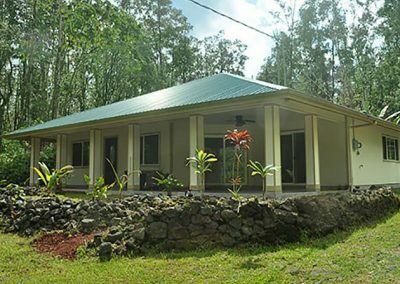 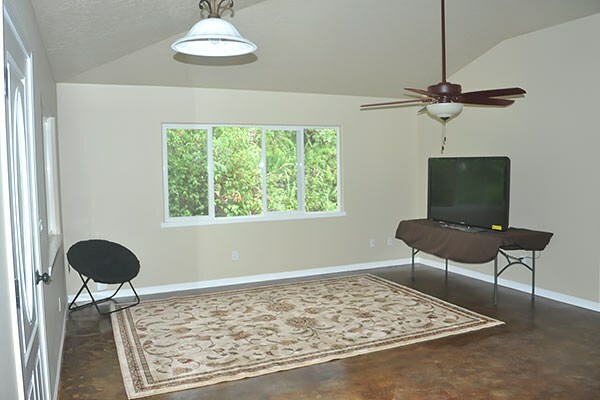 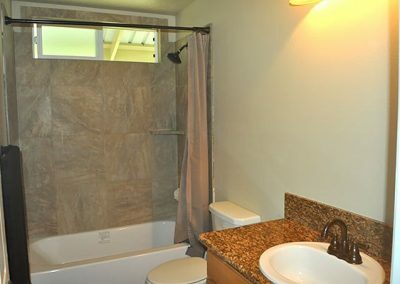 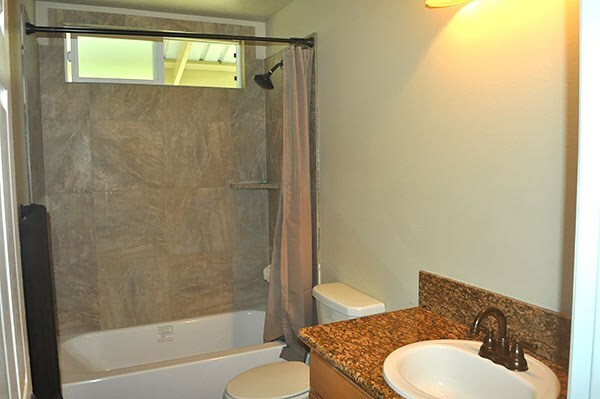 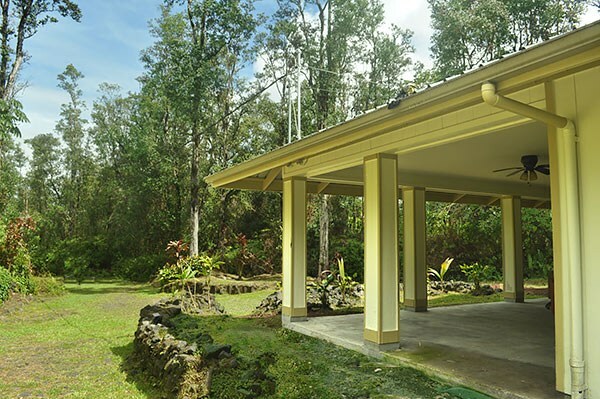 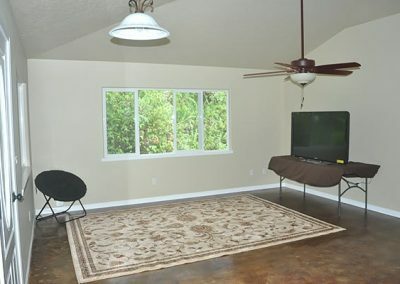 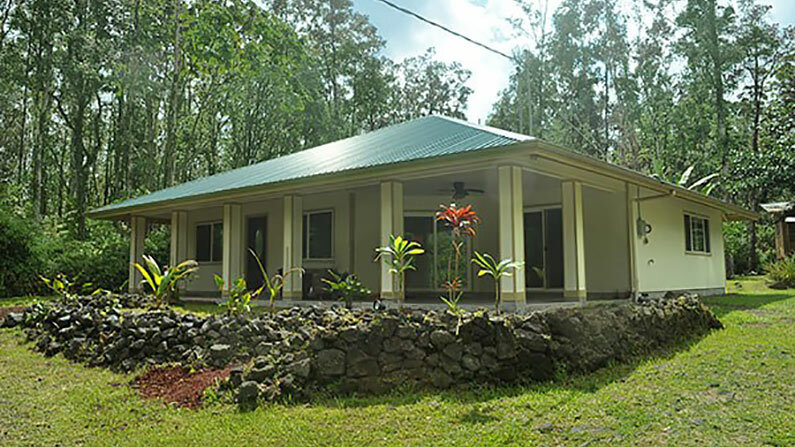 Enjoy the wonderful privacy, beauty and comfort of this BRAND NEW 3 bedroom, 2 bathroom home located on 3 acres in Hawaiian Acres subdivision, Big Island Hawaii. 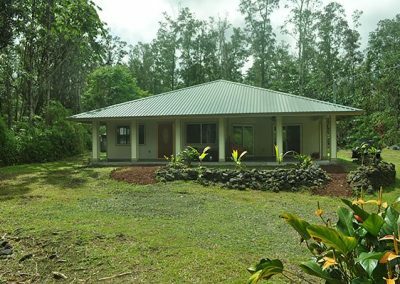 A wonderful, just completed, single level Hawaiian style home with a bonus, small rustic cabin is set into the property at just the right spot to take advantage of a natural knoll. 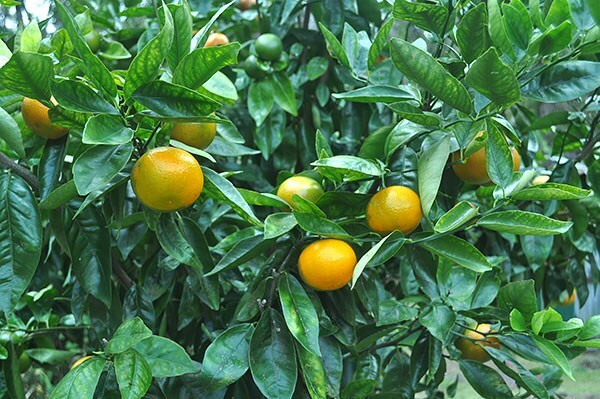 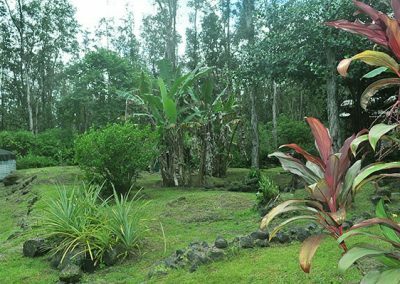 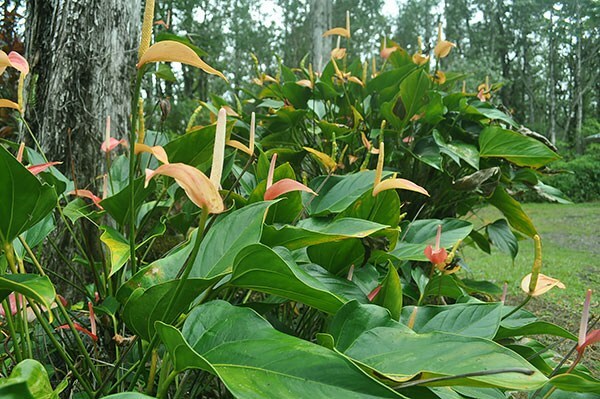 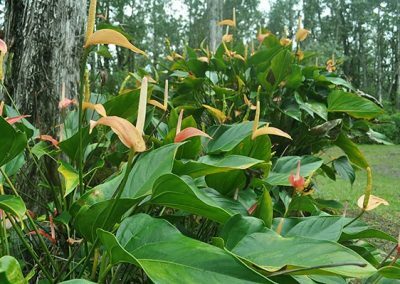 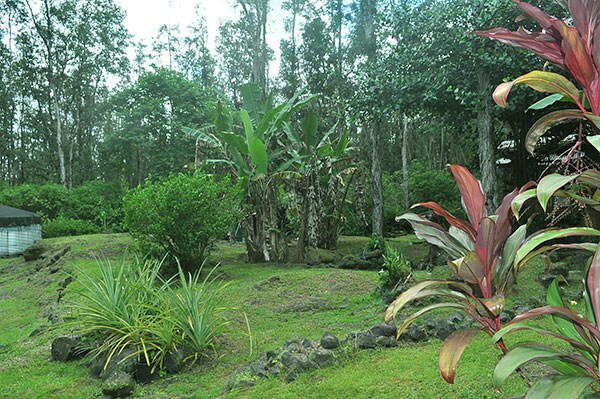 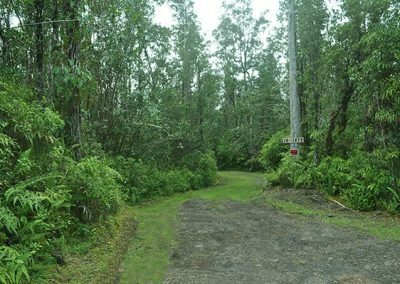 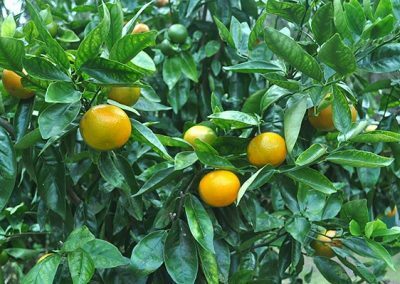 The land around the house has been hand cleared and planted with topical foliage and a few fruit trees while the remaining land is in its natural, native Hawaiian forest state. 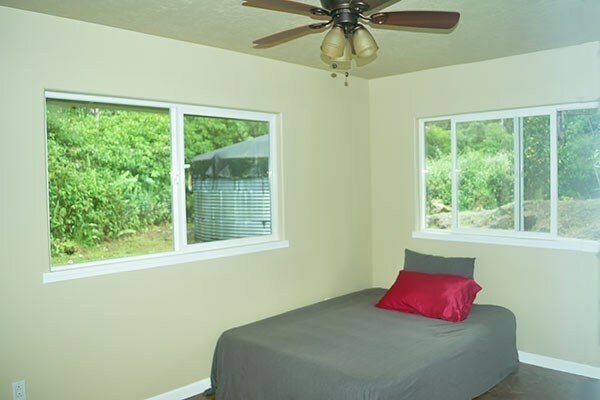 As you enter this home you will walk into the comfortable living area with its large picture windows which let in light and the wonderful trade winds East Hawaii is famous for. 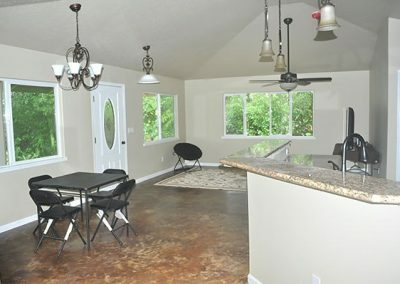 The cozy dining area also has a large window for great light and flows easily into the kitchen with its granite counter tops and bar seating. 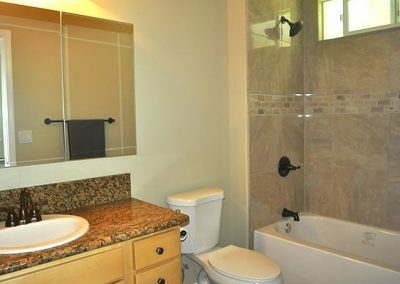 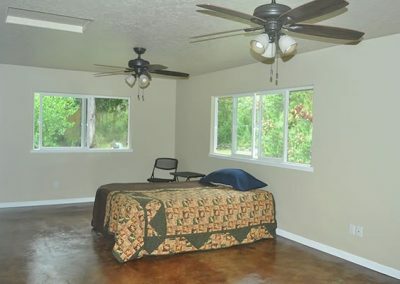 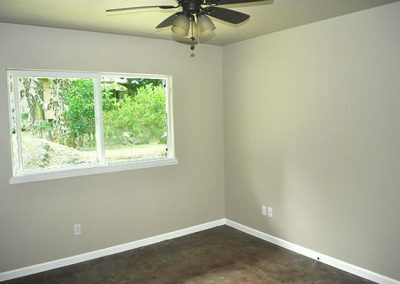 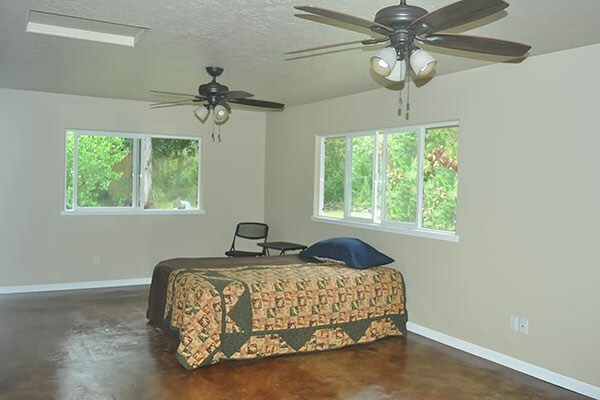 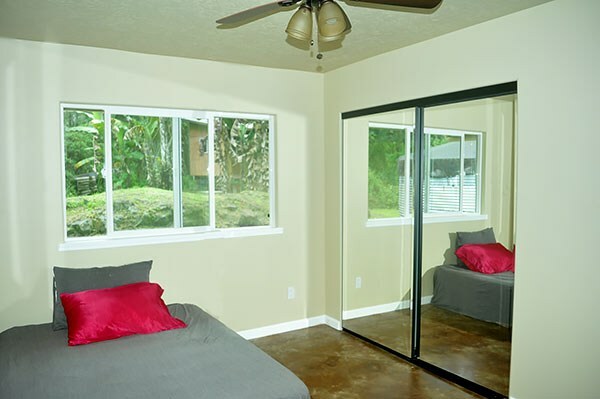 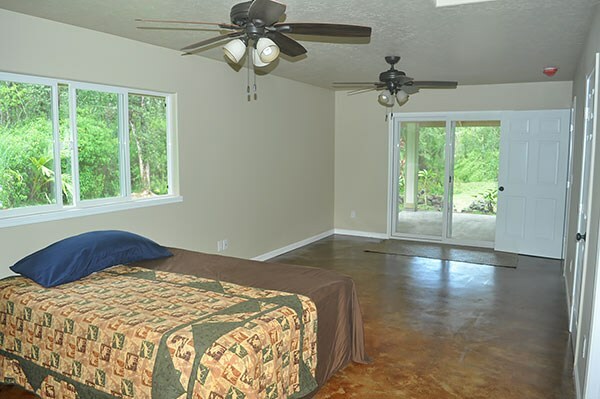 The large master suite is on one side of the home and has access to the comfortable front 420 sqft lanai area. 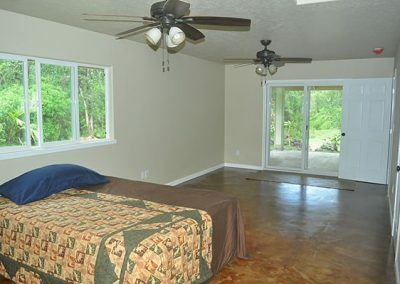 There are two additional bedrooms and the guest bathroom on the other side of the home, both with views to the back yard. 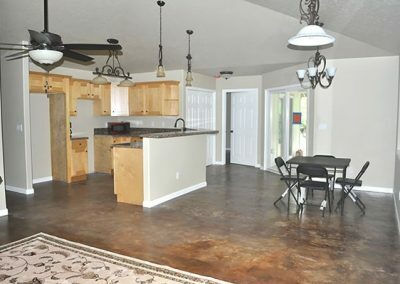 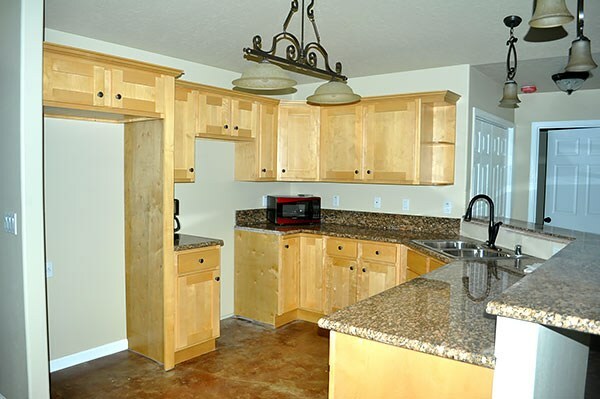 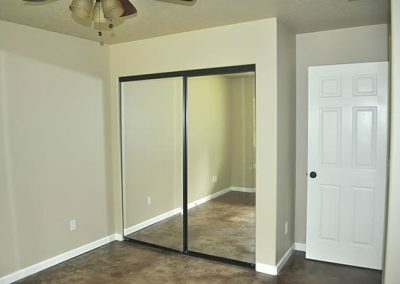 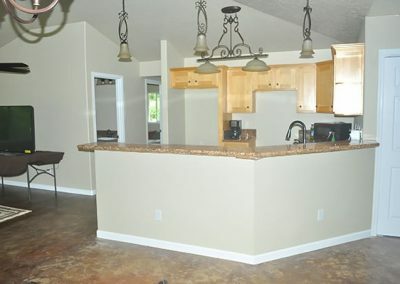 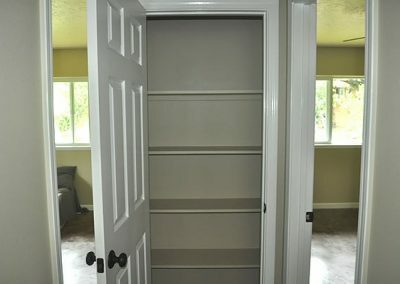 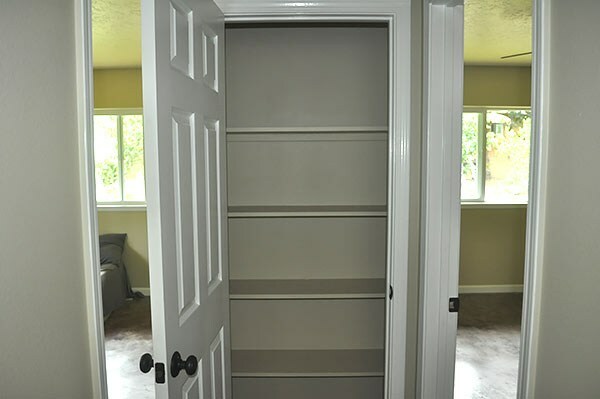 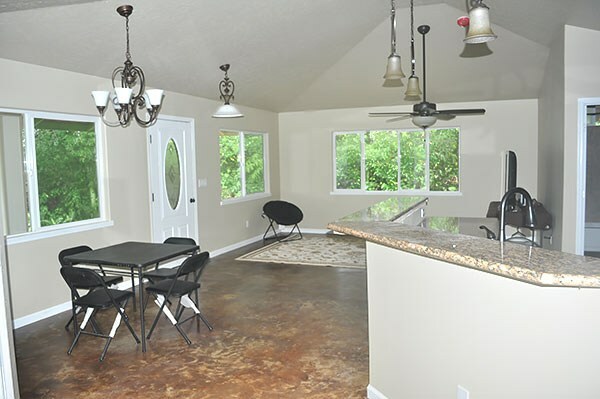 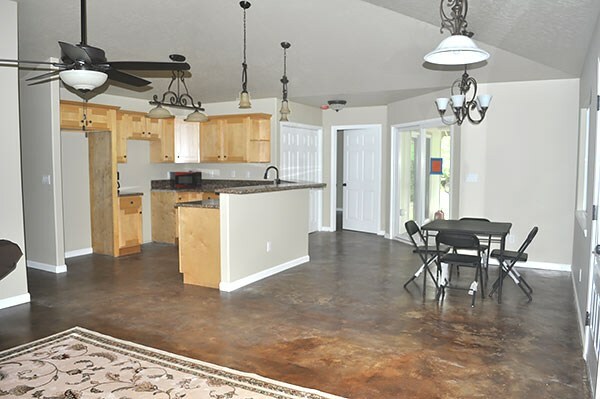 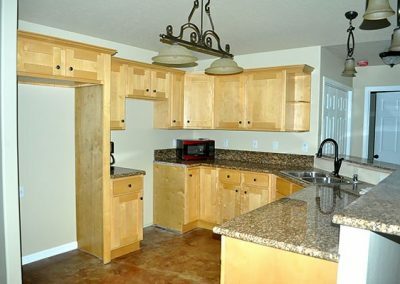 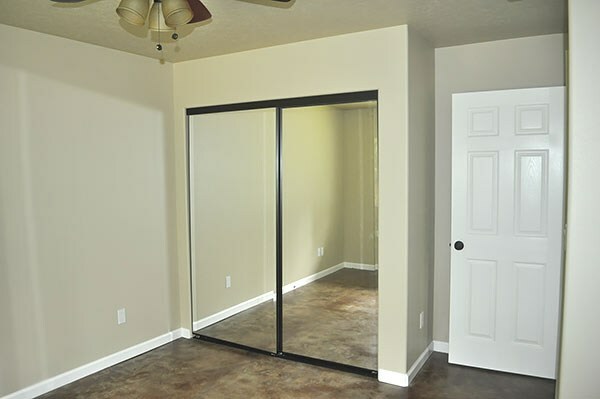 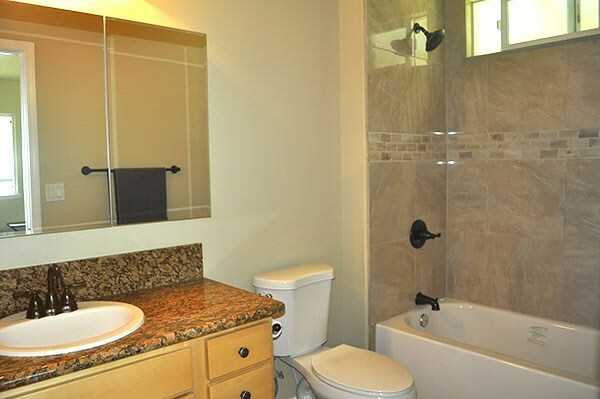 There are many nice features in the home such as vaulted ceilings, mirror closet doors, travertine tile in bathroom showers, granite countertops, all matching rustic bronze fixtures throughout home and more! 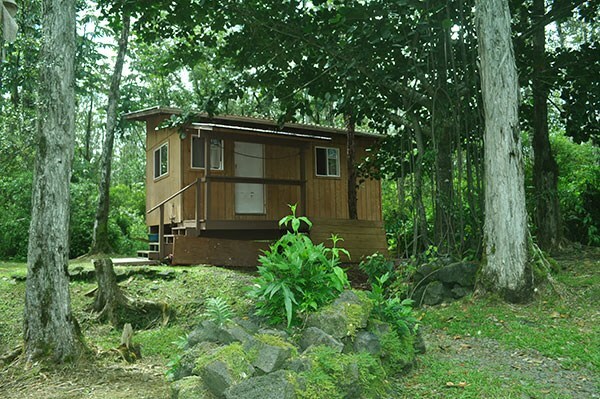 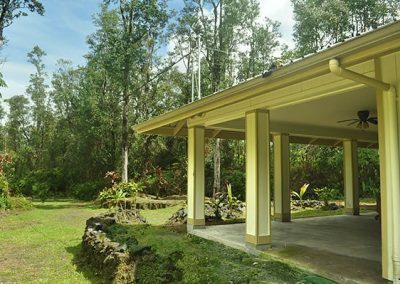 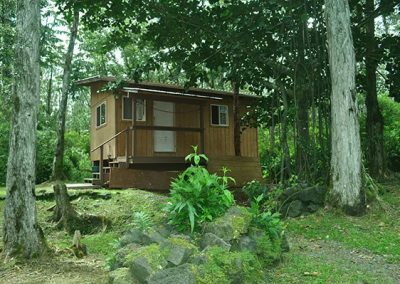 Here you will be able to enjoy the country life all within 20 minutes to Hilo Town, the University of Hilo, restaurants, shopping and beaches. 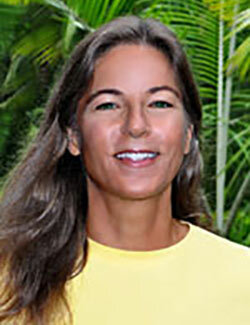 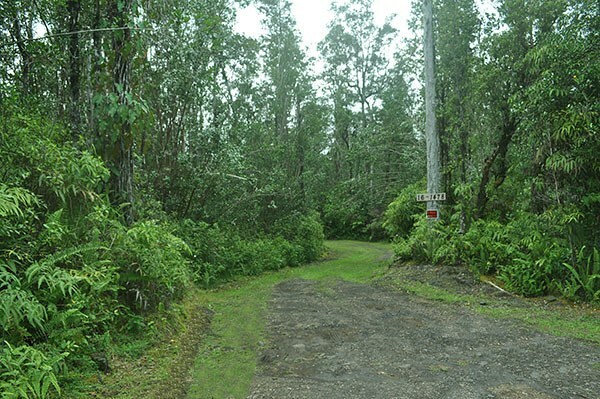 Hawaiian Acres is primarily native Hawaiian Forest with beautiful mature Ohia trees and other local plants. 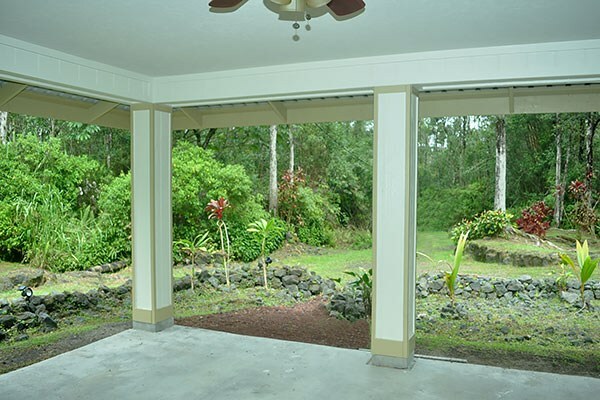 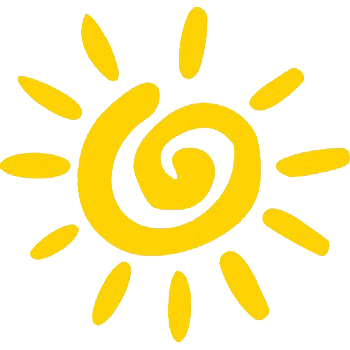 Plenty of sun and rainfall at this 800 foot elevation for any type of garden or small agriculture project. 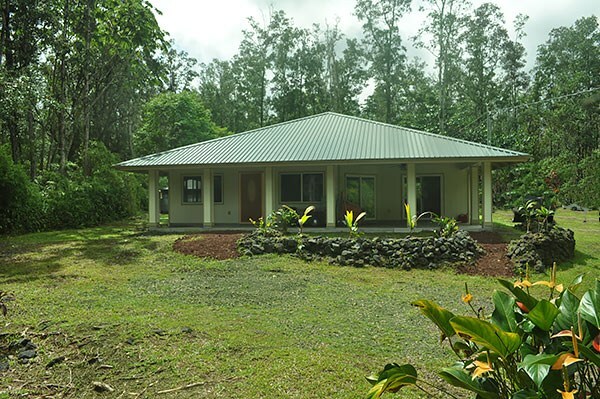 No CCRs so a small farm is also possible. 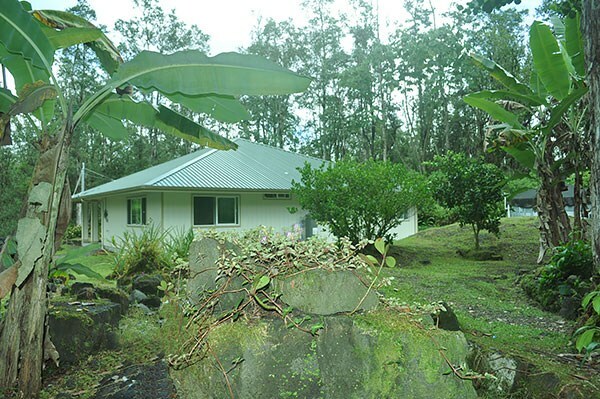 Electric is available and hook-up or go green and live off-the-grid.